Recently, Scott Herhold of the Mercury News published his list of best and worst decisions. While one might quibble with his priorities, it was hard to argue with his analysis–except for the Saddle Rack. That dive was an eye-sore and we don’t need any would-be urban cowboys in San Jose. The Safeway and affordable housing was much needed in the neighborhood and the area needs even more revitalization. But other than that–here are a few things Scott missed. First, LEVI’S STADIUM in Santa Clara. The Stadium has been a cash-cow for the economy in the Silicon Valley. The Super Bowl alone provided over $1 billion in local economic activity–even though San Francisco was officially the host city. Kevin Moore’s Hail Mary was huge. BART to San Jose; While not completed yet. Ron Gonzales deserves full credit for bringing this project–kicking and screaming–to San Jose. Carl Guardino and the Silicon Valley Leadership Group also deserve a lot of credit. When completed BART will serve as a critical transportation point and move thousands of people off our congested freeways. METCALF Energy Center: This modern day power plant helps power Silicon Valley. 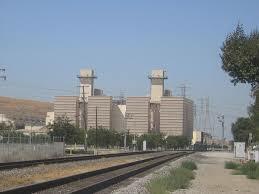 Opposed by Mayor Gonzalez and the City of San Jose at the time; the California Energy Commission approved the plant. The energy produced is critical component for infrastructure in the Bay Area. AGNEWS Hospital development at what is now known as Rivermark and Oracle. Although unanimous at the end. The project was almost derailed on a narrow 4-3 vote in Santa Clara. Council members Lisa Gilmor, Rod Diridon, and, critically, the late Aldyth Parle helped make this happen. The project almost failed because of City greed and a failure of some members of the City Council to understand the economics of the development–which included affordable housing, a school, a fire station and park land; but ultimately reasonableness prevailed and the master planned development was built. SAP CENTER: Herhold did mention the Sharks; but it is the HP venue itself that was the key to San Jose success. In addition to being the home of the Sharks; top tier entertainment that used to be available only in San Francisco and Oakland is now held in San Jose. Former Mayor Tom McEnery and Susan Hammer both deserve credit for their vision and the completion of this project. All of which was opposed by the regular and dependable NIMBY crowd. What would San Jose be like without the arena? HIGHWAYS 85 and 87. Long opposed by NIMBY’s these freeways were finally built. Eileen Goodwin supervised the 85 project which came in on time and under budget. Highway 85 was slower; but persistence by then Councilman Jim Beall as a member of the Metropolitan Transportation Commission made 85 a reality. RENT PROTECTION. The recent 6-5 vote from the San Jose City Council to protect renters will certainly go down as one of the best decisions City Policy makers could make; how Mayor Liccardo wound-up on the opposite side of this “moral” issue is baffling. Not only did his Vice-Mayor Magdalena Carrasco vote correctly; she showed tremendous independence from the Mayor–which can’t bode well for his future. That said, fundamentally, it was the right thing to do. BIKE LANES. Developing a bicycle friendly environment is a long term winner. While it could have been done better in some cases; Mayor Liccardo deserves credit for this initiative. Shiloh Ballard of the Bicycle Coalition is continuing her advocacy for more bicycle friendly areas of the city. The City should concentrate heavily on the Eastside of San Jose–where bicycle travel is an affordable option for the population, especially kids, to get around. SAN JOSE AIRPORT LOCATION–the location of Norman Y. Mineta Airport has hampered planners and developers in downtown and Santa Clara for decades. A good option would be to convert Moffet Field into a commercial airport and free up prime land for development. It will never happen; but one can dream. KEEPING CALTRAIN AT GRADE; While the electrification of Caltrain is a great idea. The NIMBY opposition of High Speed Rail to San Francisco was stupid and myopic. The NIMBYS who will not be alive to see High Speed Rail spoke loudly against the project. The idiots really supported the 19th Century, at grade system with all the noise it generates to an aerial structure that would allow development underneath, free up traffic, prevent car accidents, help prevent suicides and be less noisy than their current system. There will never be true High Speed Rail to San Francisco as a result–and traffic on their local streets will never get better. MEASURE B. Herhold did mention this in his column. My problem was with some of the people who supported Measure B, including Mayor Chuck Reed and current Mayor Sam Liccardo. They are lawyers and they knew better. Reed helped cause the problem and his consultant, Victor Ajlouny was a consultant for many Police Associations before he turned on them in Measure B. It was all done for political reasons and they (especially Reed, Liccardo) knew better. They were lawyers. The Reed legacy is that he is now considered one of the worst Mayors in San Jose history. LOSING THE SF GIANTS. Mayor Susan Hammer tried to get voters to support a stadium in San Jose. But the NIMBYS prevailed and now AT&T park, which is still cold, has generated a revenue and economic boon for San Francisco; while San Jose still pines away for Major League Baseball in the form of the A’s. Three World Championships and the revenue that accompanies such events as the World Series was lost because–traffic is bad. Note to NIMBYS–you still have traffic and your decisions continue to make it worse. BTW: How is that Caltrain ride or drive to AT&T. 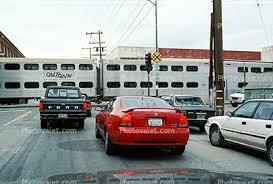 You’d be there 1/2 hour earlier if the train were elevated–just sayin’. CHARGING MAYOR RON GONZALES WITH A NON-CRIME. In one of the most egregious political and legal blunders of all-time; Mayor Ron Gonzales was over-charged by the District Attorney’s Office for a political deal. He was falsely accused of taking a bribe and five other counts–all stemming from his “taking a bribe”. He received no personal benefit from a political deal and Judge John Herlihy noted the malfeasance of the prosecution. The real tragedy was the collateral damage was the City of San Jose; at the time I noted that Gonzales was not guilty but that he should resign until he was cleared. He chose not to do that, which is understandable, but the City suffered as a result of a Mayor who was forced to defend meritless claims while still trying to run the largest City in the Bay Area. For District Attorney George Kennedy and his employee Julius Finklestein it was a low point in their respective careers. The media under-reported the effect of this horrendous decision; which is a shame–because Mayor Gonzales was clearly mistreated by a prosecutors who ran amok. NOT BART TO SAN JOSE. The early decision by Santa Clara County NOT to incorporate BART was a huge mistake in retrospect. City of San Jose gadflies were worried that BART would leave San Jose broke–as jobs would flee to San Francisco. Having no vision of Silicon Valley; their myopic and selfish view led them to reject a transit system the current generation of Santa Clara County residents is going to have to fund through increased taxes. These people are like the opponents of High Speed Rail today; their ignorance cost future generations in lost time, lower productivity, more traffic and less convenience. But, hey, they showed those folks in San Francisco. DUTCH HAMANN AND URBAN SPRAWL. Wall to wall concrete over the Valley of the Hearts Delight. Yes, the vision of Dutch Hamann still haunts us today. Instead of long-term planning for housing, transportation and infrastructure–San Jose threw up ranch-style track homes as fast as they would go up. Selling for an outrageous price of $13,000-$25,000 in the early 1960s these homes continue to be the major cause of our unlivable nightmare. Oh yeah, and two cars in every garage and no mass transportation infrastructure. On the upside, because of the lack of affordable housing, it did create a lot of millionaires in the Valley–at least until the next bubble breaks. ELECTION EQUIPMENT BUYING DEBACLE BY COUNTY. The County’s process for buying election machines, equipment and their process for counting ballots is an embarrassment for Silicon Valley. Instead of following a model similar to San Mateo, where ballots are counted by 10 pm in a secure system–Santa Clara County bought machines that were totally inadequate for the job, finally rejecting them altogether and implementing a process that includes abacuses for counting. The entire process was fraught with mismanagement, conflicts of interest and ultimately a Board of Supervisors who were deceived by their staff including Richard Wittenberg and then Registrar of Voters Kathryn Ferguson (who went on to work for Sequoia Voting Systems the winner of the RFP for the now defunct electronic voting system). The time it takes for SC County to count the ballots on election night is an embarrassment to Silicon Valley–and we are among the last to get our official results into the California Secretary of State. Kern County is faster. COMPENSATION FOR EXECUTIVES, SHAFT FOR PUBLIC EMPLOYEES. In a series of negotiations County Executives increased their own pay while limiting the pay of public employees–yet increasing employee pension benefits and pleading poverty to the Board of Supervisors. Again, Richard Wittenberg was a master manipulator of the Board and the press. One year he gave all the executives a raise in December. The following year, Executives took no raise at all. Yet, in the beginning of January–Wittenberg noted the executives had not had a salary increase for the entire year (remember that got their raise in December of the preceding year) and proposed increases for executives. The media bought it; hook, line and sinker. Yet, Wittenberg was also a fierce negotiator with unions; often getting them to take little or no raise at all. He did increase their pension benefits–for he would be long gone when the bill came due. By keeping salaries down for employees, he noted to his bosses that he had “saved” the County millions and deserved higher pay as a result of his efforts. They bought it. BTW: This happened in many jurisdictions; so Wittenberg was not the sole culprit; just a master of the manipulation.